What is a Little Free Library, and what’s so special about it? 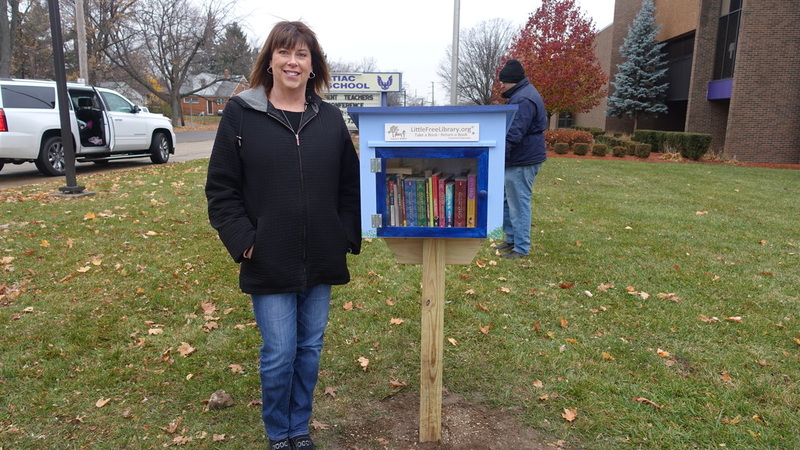 Why is FPC getting involved in Little Free Libraries? Through our ministry at Alcott Elementary school in Pontiac and elsewhere, FPC has a longstanding commitment to promote literacy and education. 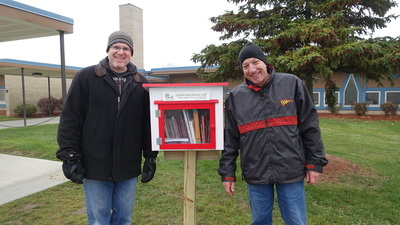 Little Free Libraries are a great way to do that, and to build community at the same time. Respondents to our mission survey last fall expressed an interest in promoting children’s education and doing more for the Pontiac community. With the opportunity of utilizing mission funds from our Vision Campaign, we can invest in this project in an impactful way for local communities and our congregation. The Session of FPC has voted to designate $10,000 from the mission funds from our Vision Campaign to install 20-30 Little Free Libraries during the summer of 2016. Future funding of more libraries is possible if this project is a success. Locations and Stewards – a team of 4-5 people to connect with local non-profits, churches, businesses, schools, neighborhoods in target areas to discern the best locations for our libraries and recruit stewards for each library. Design and Build – while we have the option to purchase pre-made Little Free Libraries, and may do so for some locations, we will ideally build most of the libraries ourselves. This is the most economical option and provides the most impact on our church community. This team will also install the libraries in their various locations. Decorate – will work with the Design and Build team to add the Little Free Library plaque and to make each library creative, unique, and suitable for its location. Books – this team will work with Locations and Stewards and Design and Build to determine how many books each library will need and which kind of books will be most appropriate for each location. They will ascertain the best way to go about collecting and purchasing books for each library. Each book will be stamped to show it belongs to the Little Free Library. A list of most-desired books for children and young adults can be found here. 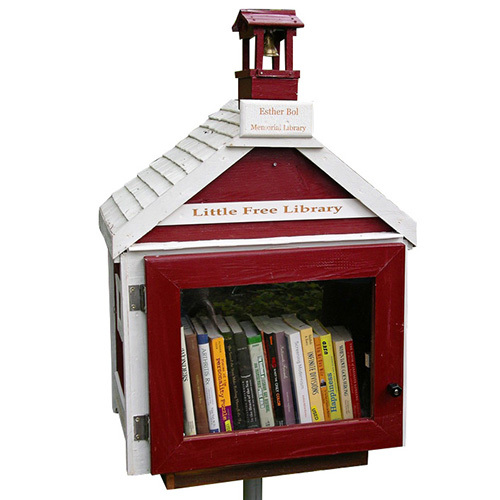 To learn more about the global Little Free Libraries movement, visit the Little Free Libraries website. To learn about a local effort to place 313 Little Free Libraries in Detroit, visit the Detroit Little Libraries website. To volunteer to help with FPC's Little Free Libraries, contact Cindy Merten. How Do I Volunteer to Plant a Library? 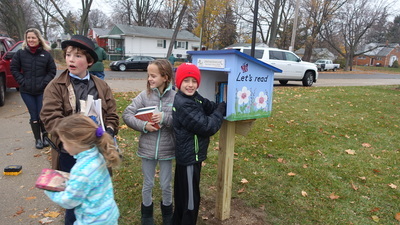 ​Would you like to plant a Little Free Library with us?  Choose the best location to plant the library at their home, business, school or organization.  Plan a grand opening event (if you’d like to host one).  Welcome and engage with the people who visit the library.  Tidy up and maintain the library on a regular basis.